Paige leads in the planning and execution of all social media and digital marketing strategies for Xdesign’s clients. Her responsibilities range from copywriting to developing creative concepts and campaigns to social media, email marketing and digital media management. Paige comes to Xdesign after obtaining her bachelor’s degree in digital advertising from Louisiana State University. 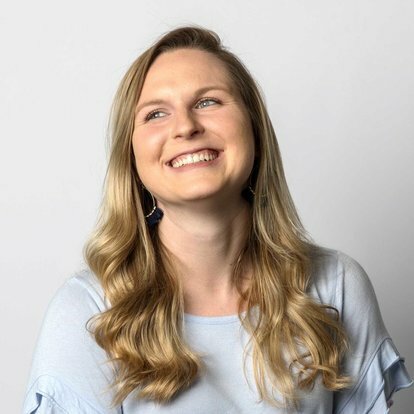 Throughout her college career, she learned the ropes of the communications world through various internships and through her experience developing a national award-winning integrated marketing campaign for Pizza Hut with a team of classmates. Her combined love of creativity, strategy and attention to detail make her the perfect fit to communicate a brand’s story effectively in innovative ways. Paige is always up for an adventure, whether it’s playing beach volleyball, binge-watching a new (or old) show or celebrating Taco Tuesday. A Louisiana native and Tiger fan to the core, she rarely misses a night in Death Valley cheering with 102,000 of her closest friends. Lives and breathes digital strategy. Color coding is her second language.